Last month we announced new features for players and video game event organizers. One key enhancement was a new referral program. As you share Tournament Seeker within your network and around the web, we are able to track that activity and reward you for your efforts. With that in mind, we’re excited to announce our first contest here on Tournament Seeker! Referrals, which can be reviewed in your Referral Tracking Tool in the Player Portal, are the fastest way to earn the most points. There are other methods of earning points, but the person with the most confirmed points on August 1st, will win! - Awarded to the person with the most influential social media activity. Must be citizen of the United States or Canada to win. Q: Are contest prizes set in stone? A: Yes, but we may collaborate with our network of affiliate companies to boost the prize packages even more! Q: Remind me how to get referrals again? A: Login in by connecting through Facebook or Twitter, then go to: www.TournamentSeeker.com/REFERRALS. You’ll find your own personalized URL and can track all your confirmed referrals. Q: What’s the best way to get referrals? A: Mention @TourneySeeker and your referral link in tweets (we may RT! ), connect people to the Tournament Seeker page on Facebook, and even email your friends. In short, make your personalized referral link taste like candy around the web! 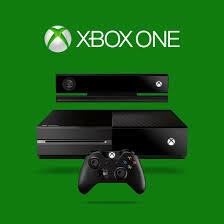 Q: Is the Xbox One confirmed? Q: Our company would like to support this contest with prizes. How can we get involved? A: Please use the contact form below and let us know how you’d like to contribute. Thanks in advance! Q: What is the objective of this contest? A: This contest is meant to dramatically boost the video game community’s awareness of Tournament Seeker. Added connectivity with Tournament Seeker’s social media outlets is also important. HFGL! Have additional questions? Comment below!